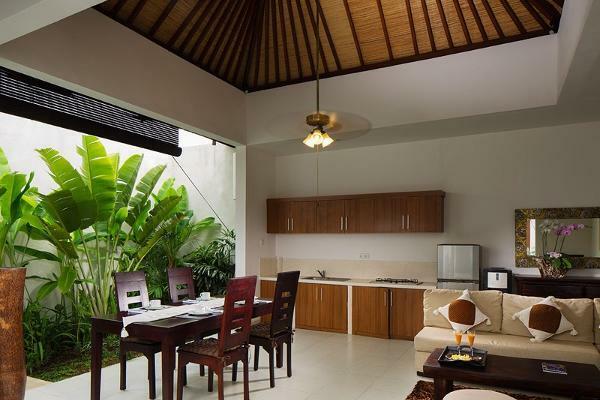 A 2 bedroom villa featuring 30sqm private pool, tropical garden, and sun bathing chairs available for your relaxation while you are enjoying your villa. 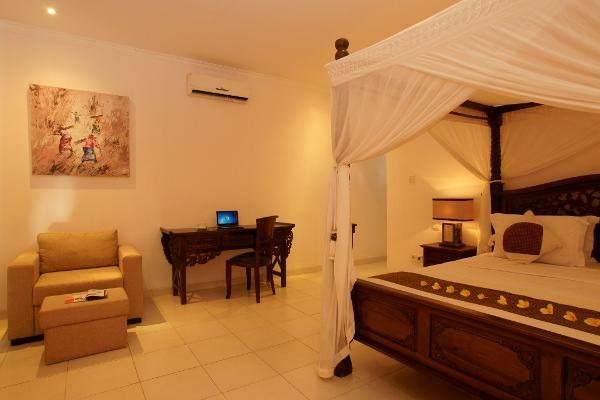 Every villa is replenished with individual controlled air conditioning, satelite TV, 32" TV screen, DVD player and individual safe deposit box. The living area also equipped with 32" TV screen and includes tea/ coffee maker. 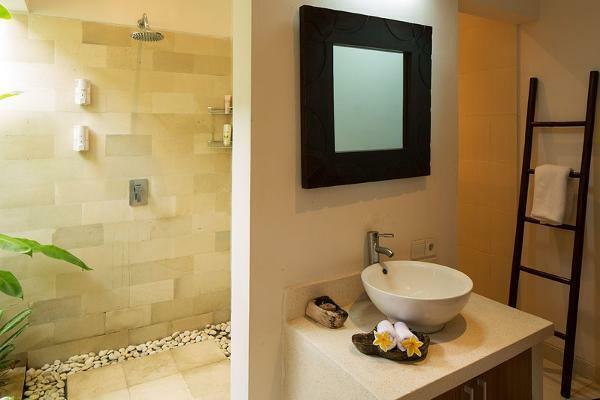 Make the most of unlimited in Villa Wi-Fi internet connection, hair dryer, separate showers and kitchen equipment. 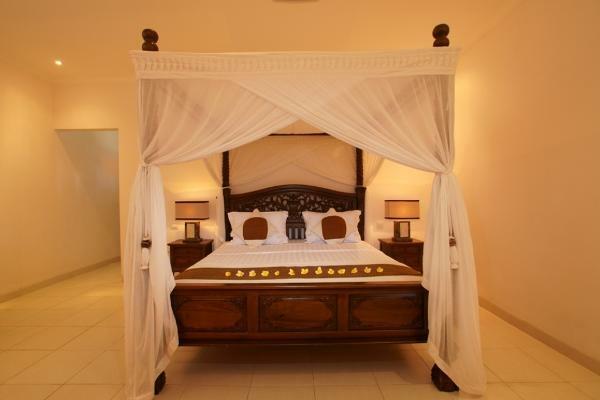 Feel home away from home with your family, our butler will serve your enjoyment while you are in villa. In house baby sitter also available upon request. 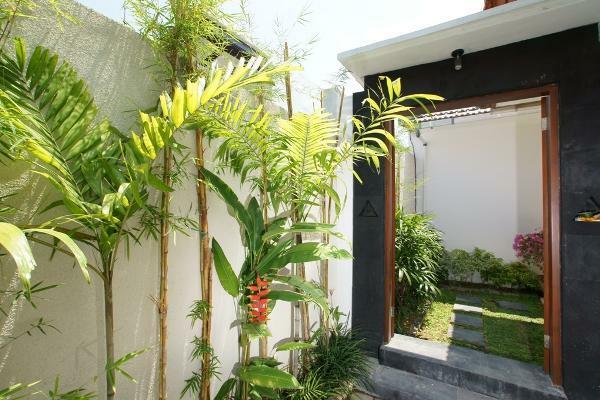 A 2 bedroom villa featuring 30sqm private pool, tropical garden. 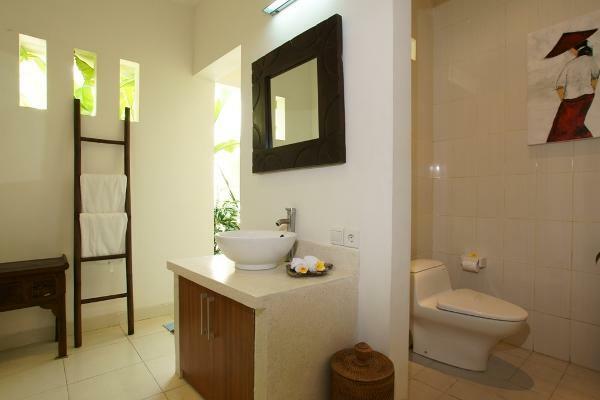 Every villa is replenished with individual controlled air conditioning, and satellite TV. - Only a few minutes away from unique Bali gift shops. 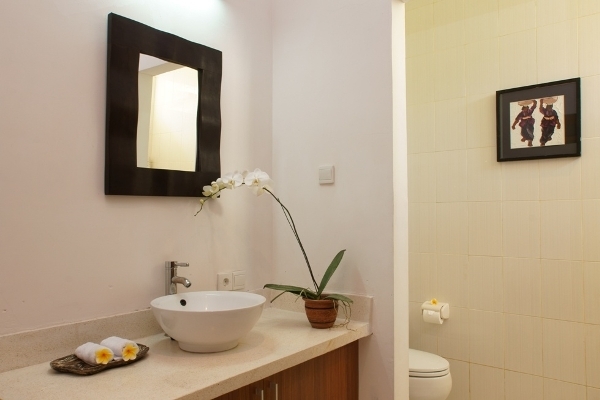 - 15 minutes drive from Ngurah Rai Airport. 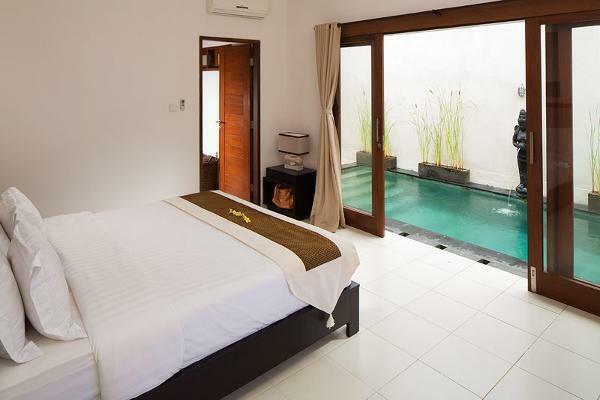 - less than 30 minutes drive to Denpasar City and Sanur. 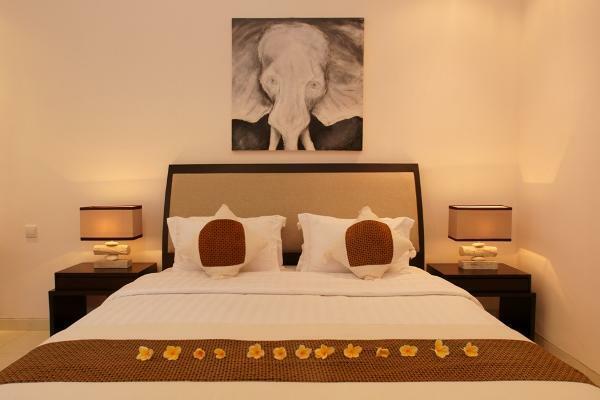 - It is close to premier shopping destinations, entertainment venues and Seminyaks best hangout places. We will send you a paypal invoice in email upon confirmation of the dates. Full payment is required for the reservation of the room. There is a 10% fee for late cancellations.